All the information was provided directly by the seller and I believe it to be true and accurate. The boat runs strong and efficient. the interior will most likely need to replace, There some fiberglass work on the bow which is cover by a bow rub rail, this was done by the previous, It does not affect the performance of the boat seller states, Overall the gel coat is good, has some scratches and dings. The seller does not know the exact hours since the engine was replaced but since he owned it he put about 30 hours on it. Also, the middle ballast has a small hole in it. Over the boat runs great per seller. Stock #151277 NEW TOP OF THE LINE SOUND SYSTEM!!! TRAILER INCLUDED....2 NEW AXLES!!! 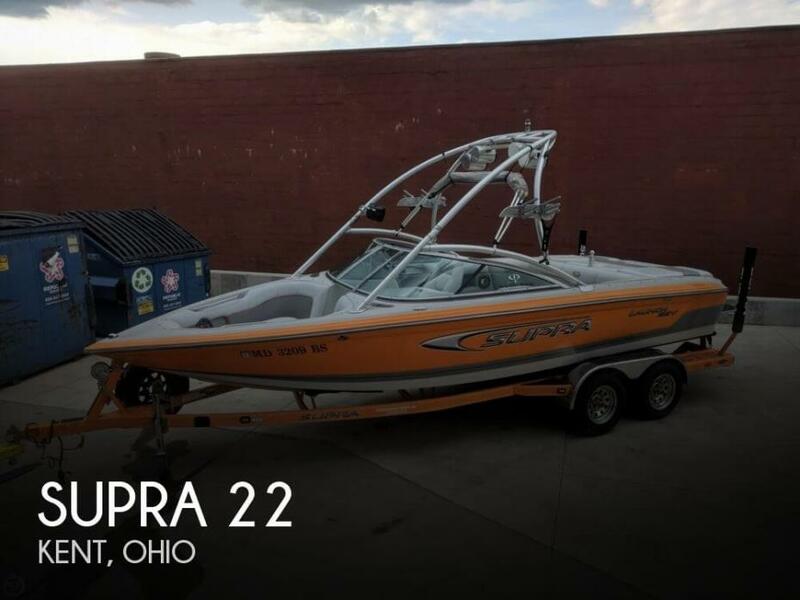 If you are in the market for a ski/wakeboard boat, look no further than this 2005 Supra Launch 22 SSV, priced right at $33,400 (offers encouraged). 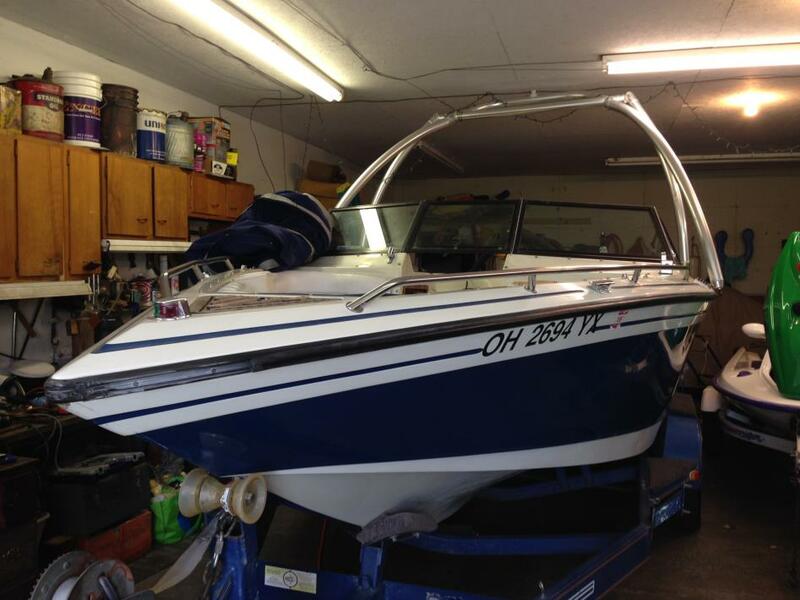 This boat is located in Kent, Ohio and is in decent condition. She is also equipped with a Indmar engine that has 1,010 hours. 1988 Supra Saltare 1988 Supra Saltare Skier Open Bow 454 newly rebilt 200 hr, Bimini top, boat cover,ski pylon and Munster Wake board tower, Trailer rebult with new axles and brakes. Great family boat with seating for 10. 2011 Supra 22V Launch One owner, low hour example of Supra's 22 Launch powered by Indmar 5.7L 325HP with only 187 hours of total time. Partial listing of equipment includes:Indmar 5.7L 325 H.P. w/187 hoursBoatmate Tandem Axle Custom TrailerTower Speakers w/AmpsTower Swivel RacksSupra Vision SystemGravity 3 Ballast SystemBow and Cockpit CoversTower BiminiDual Batteries w/Switch All freshwater boat located at our facility so showings are easy. Call today for additional information or to schedule your showing. 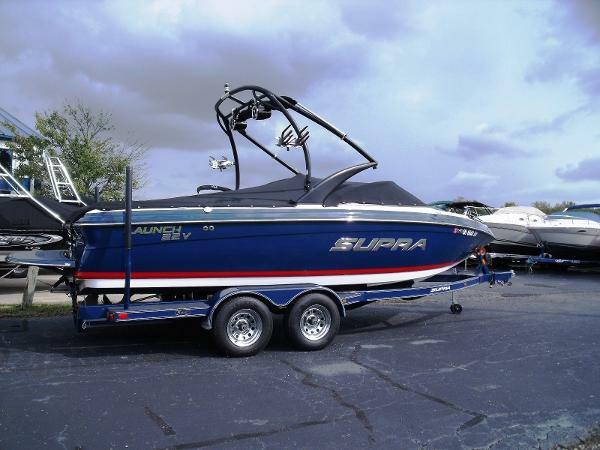 1999 Supra 21 Launch Here's a great deal on a clean Supra ski and wakeboard boat! Powered by 310hp PCM inboard with just over 1000 hours. Includes tower with racks, ballast system, stereo with remote, plenty of seating, full cover, Boatmate trailer and more. Located in Cincinnati. All trades considered. 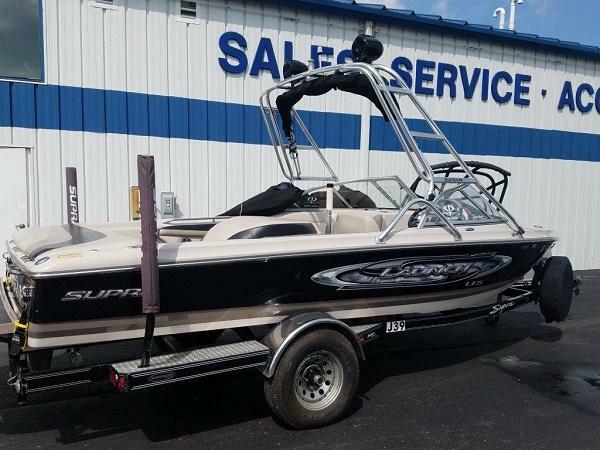 2004 Supra Launch 21 2004 Supra Launch LTS, 21' inboard ski/tow boat, powered by an Indmar Assault EFI 5.7l V8 325hp with only 496 hours. Black and white exterior. The boat is equipped with wake board tower with bimini top, tower speakers, AM/FM Stereo CD with transom remote, dual battery switch, perfect pass control, flip up bolster seat, mooring cover, extended swim platform, and a boat mate single axle trailer with swing tongue. Owner will also include barefoot boom and original teak swim platform. If you are looking for a nice reliable tow boat with low hours this is the boat. Call today to set up a showing. 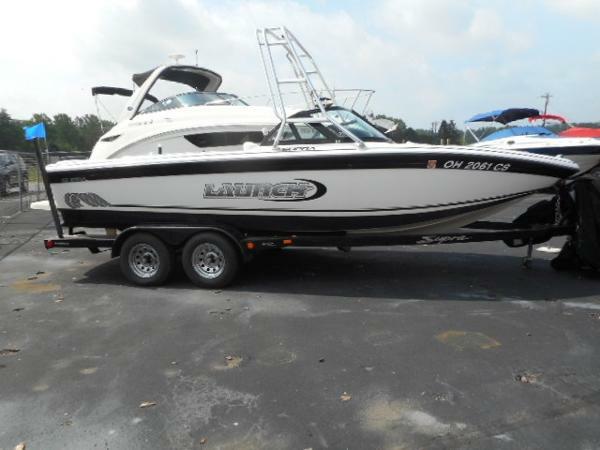 This boat is located at our Cincinnati Location! All trades considered! 2008 Supra 22SSV Wow! 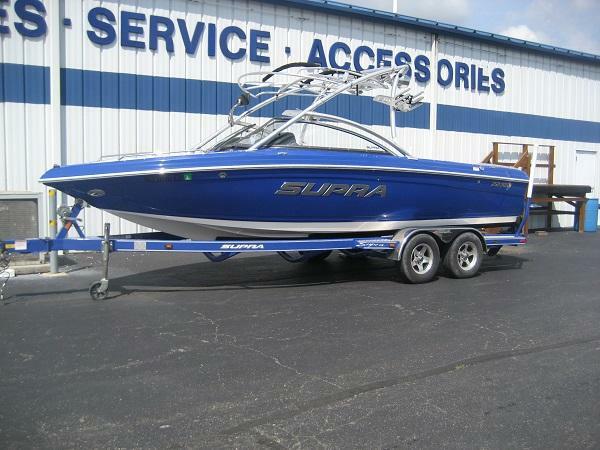 Check out this 2008 Supra 22V powered with Indmar 5.7L Vdrive (487 hours). Includes Gravity III ballast system, cruise control, tower with bimini, speakers, and racks. Also includes stereo with cd, dual batteries , mooring cover and Boatmate tandem trailer. Located in Cincinnati. All trades considered. 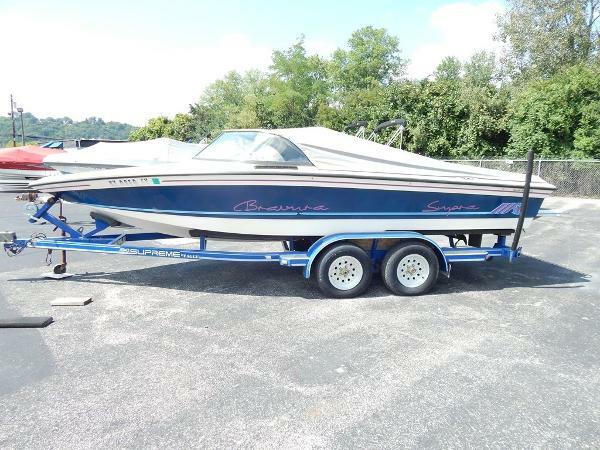 1992 Supra Bravura This ski boat has some nice features! It is powered by a PCM 240 hp inboard engine and comes with a single axle trailer. It also has a convertible top, cockpit cover, mooring cover, enclosures, depth finder, stereo, thru-hull exhaust, and a Barefoot bar! If you want a ski boat at a good price, check this out! Call or e-mail us for details! WE WILL CONSIDER ANYTHING IN TRADE!